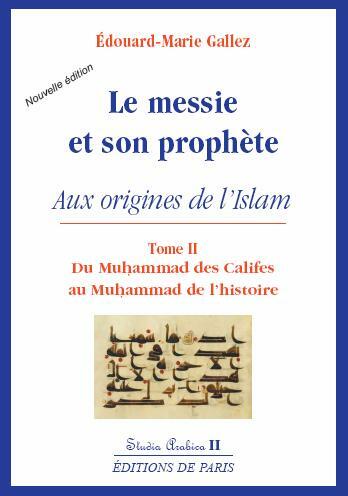 This book was originally a thesis for a doctorate in Theology / History of Religions (Strasbourg University II, France, 2004-2005). The general title, that this study throws light on, reflects the mystery which seems to surround the origins of Islam. after the supposed facts –, Muhammad is said to have been brought up in Arabian surroundings that had mysteriously remained pagan, as if he had not lived in the 7th Century AD but BC, and as if his tribe of merchants had learnt nothing from the Jews and the Christians, whom it had met regularly for a long time, at the very least for commercial reasons. Moreover, according to this discourse, he suddenly professed himself a prophet, referring to a Revelation received from God – but nobody could have understood him since they were all supposed to be polytheists, having no idea whatever of God ! What does all that mean ? What is the reason for those apparent inconsistencies ? During the last thirty years in particular, studies have thrown light on various aspects of these questions, but few researchers surmised that the answers in their respective fields were convergent because theses fields were too isolated from one another. True, there was a double difficulty to overcome : on the one hand, research had to grasp and analyse the period of history before Muhammad was born – which led to reinvestigate the file of the Dead Sea Scrolls (erroneously called « of Qumrân » or « Essenian ») as well as the studies concerning what was considered as « deviating Judaism » (in fact the nazarean drift of early Judeo-christianity). 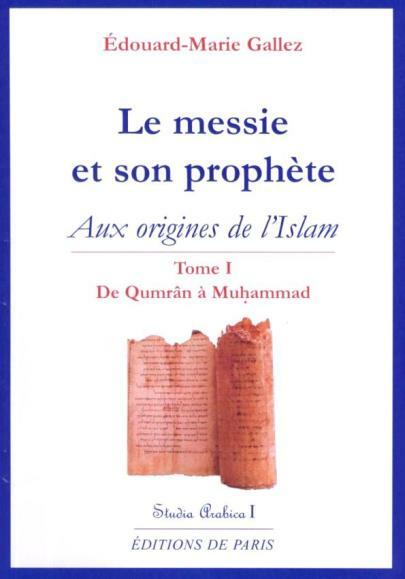 On the other hand, regarding the Koran after Muhammad, it was essential to proceed to a serious exegesis of its text, beyond its obscurities and other apparent difficulties (that’s why the study had to quote or examine nearly 500 Koranic verses). It thus appeared that, in the 7th century, what was not yet called « Islam » was deeply rooted in Judaism and Christianity, not directly though : through the drift of some Judeo-christian circles of the second generation, that had transformed biblical messianism into a political ideology of salvation – they were waiting for the second coming of the Messiah inasmuch as he would dominate the earth, submitting it to power of God i.e. especially of His faithful. In spite of the difficulties or the misleading interpretations of a number of scrolls and archaeological remains – particularly those of the Dead Sea –, it is possible for the historian to follow this messianic thought which took shape in the 2d century BC, which appeared as a system of thought at the end of the 1st century AD, and, at the end of the 6th century, which gave birth to the short-lived Judeo-arabic Community which was the cradle of Islam. The research also shows why and how, later on, the Koranic text and the Islamic comment took shape, under the authority of the Caliphs of Damascus. So, this study takes into account the diverse files, while it is bound to be developed in the future and improved on points of detail ; no other approach is known to offer such a global outlook – except of course for the Islamic discourse. As a reminder, the latter essentially took shape during the 8th century (Muhammad going up to Heaven, catching sight of the Koran, having it dictated by Angel Gabriel, and so on). Let us also point out that the only sure and precise datum concerning his life is the attempt he made to conquer the Holy Land in 629. The standard books and articles hardly ever mention that : from the point of view of the conventional discourse, what was Muhammad doing on the way to Jerusalem – a city towards which he himself used to turn in order to pray –, when he was supposed to be only preoccupied with seizing Mecca ? Indexes and cross references (to the text or to the 1649 notes) make it possible to pass from one volume to the other. Confronting available texts (Jewish, Islamic or otherwise), archaeological or exegetical data et cetera opens out new tracks which are necessary nowadays, away from religious or political passions.